Whether you need digital printing or offset printing, the experts at The Print Authority will find the right way to get your job done so it is affordable and looks fantastic! We have over two decades of experience printing flyers, posters, brochures, business cards, training and marketing materials and much more. Our experts will make your company or organization look great in print. go the extra mile. Don’t know what we would do without you. Thank you so much! Original content, printing trends and industry updates from The Print Authority, a business printing company. Answers to all your questions about graphics, from what file formats are accepted to why you need to review and approve a proof. Answers to fulfillment questions, from typical turnaround times to which shipping methods we use in providing fulfillment services. 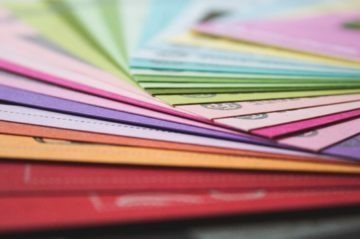 Answers to all your questions about digital printing, from whether to use digital printing versus offset printing to what is a bleed.